The main transportation to the city is by air and land. Sea routes are still under development. In 2007, the airport added a new terminal. 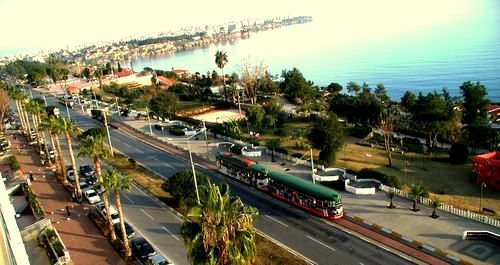 Antalya has a main port at the south of the Konyaaltı. Antalya has a transport system which is developing with each passing day. 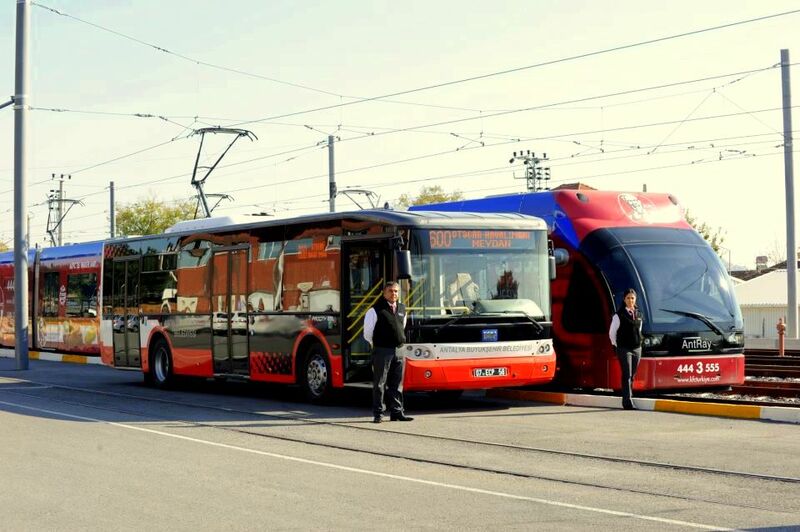 In this transport system, there are light rail (antray), the nostalgic tram, a modern public buses (Antobus), minibuses and taxis. Payment for public transportation was made in cash until the launch of a public transportation card, Halkkart. 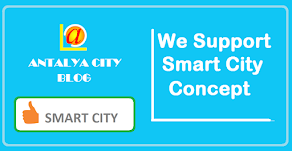 It is managed by A-Kent Smart City Technologies under the control of Antalya Metropolitan Municipal government. Passengers can use identified cards to take buses or trams. The tram system runs from Antalya Museum and the Sheraton Voyager and Falez hotels, along the main boulevard to the city center at Kalekapisi. 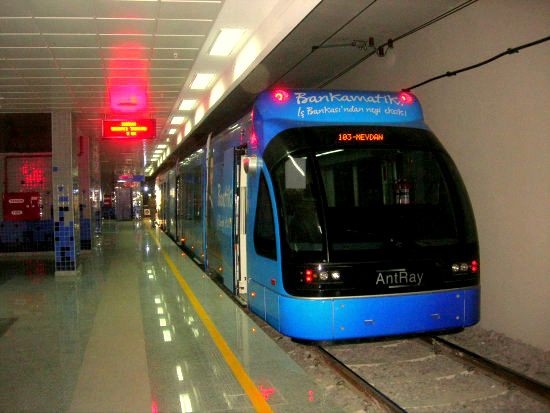 In December 2009, a 11.1 kilometers (6.9 mi) light rail line Antray was opened from one of the main city public bus hub northwest to the Zoo and beyond to suburban areas. With its long, open roads, surrounding mountainous terrain and gorgeous sandy beaches, as well as a generally mild climate, Antalya City provides the perfect setting to exercise. So, walking is the best way to get around the petite city center year round. There are three different public transportation options in Antalya and visitors are encouraged to make use of a combination of all three of them in order to meet their internal travel needs. 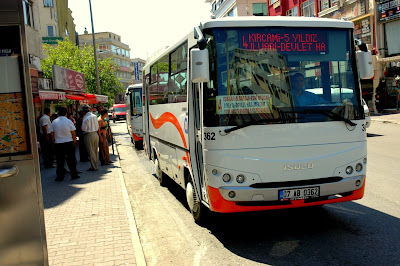 For the most part, though, the public bus system is the best method of getting to most areas of Antalya. 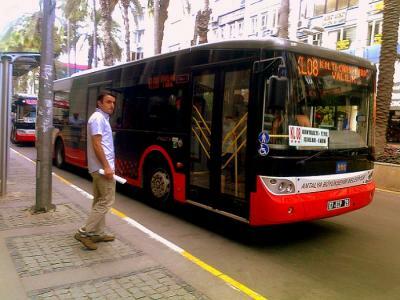 One public transportation option which visitors might be hesitant to use only because it is somewhat uncommon in many travel destinations is the dolmus. 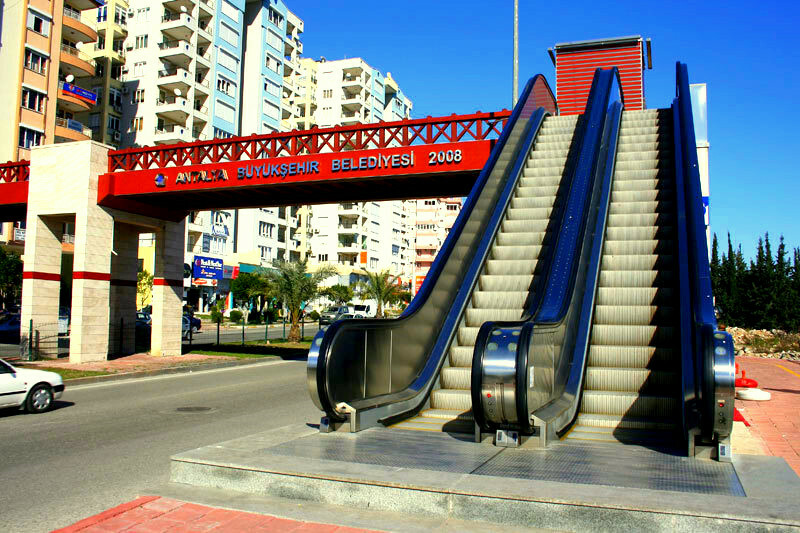 The dolmus is a perfectly legitimate and efficient mode of transportation and visitors are encouraged to try it, not only for the purpose of conveniently getting around Antalya but also for the experience of local travel. The dolmus is essentially a large van which travels a specific route. 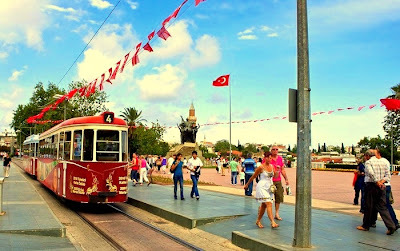 The third method of transportation is the tram which goes to a limited number of locations but is useful for tourists because it does hit many major attractions, such as the Antalya Museum. 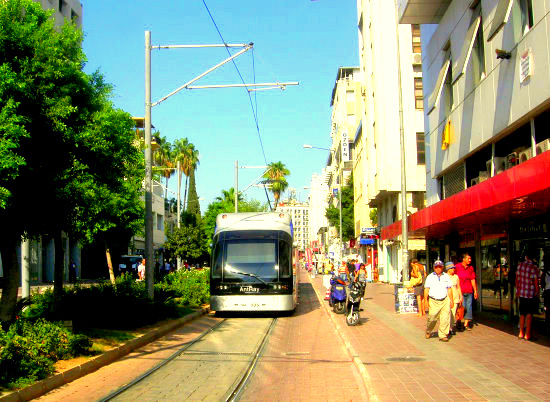 It is a single line with two different trams, one running in each direction. 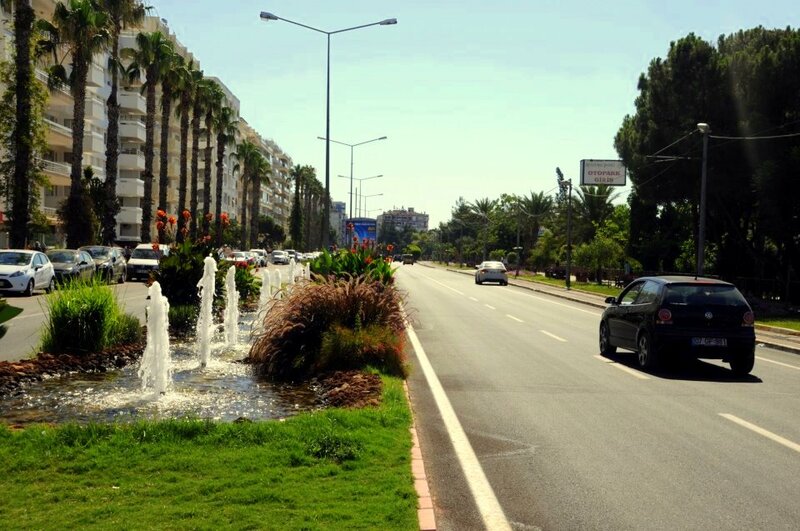 By using My Antalya application; domestic and foreign tourists can find easily the closest demand points. 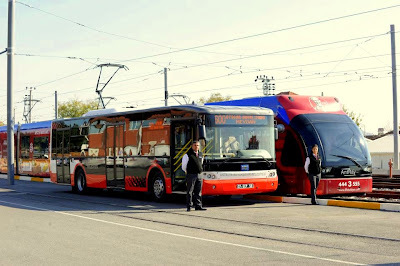 Antray transport menu, nostalgic trams, city buses, public buses and other transportation routes, and the line numbers for public transport, but also the route to the nearest airport, intercity bus companies transport information, car rental offices and taxi stops can be seen.